Bits of data traveling through the Web have to bounce back and forth between optical signal lines for efficient transmission and electrical signal lines for processing. The devices, described in the journal Nature Photonics, are based on optical cavities that can be switched between light-transmitting and light-blocking states, which allows the construction of digital signals. Researchers at NTT, a Japanese telecommunications company working out of Kanagawa, and others have been working on such devices for years, but their previous efforts used too much energy and couldn’t retain data long enough to be viable. The new memory cells use just 30 nanowatts of power, which is 300 times better than previous designs. They can also retain data four times as long, which is long enough to support processing, states lead author Masaya Notomi, director of the Photonic Nanostructure Research Group at NTT. Notomi says that they’ll use this memory in network routers or servers. 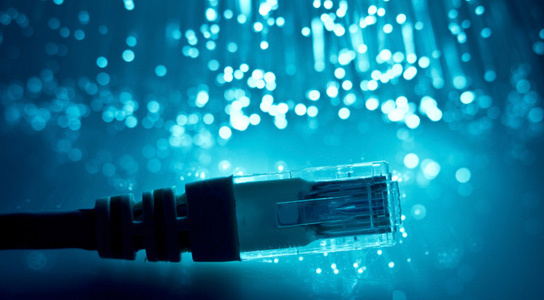 At high data rates, optical signals are much more efficient than electrical ones. Later, they hope to develop random-access memory for high-speed computers. Researchers used a thin slab of indium phosphide, which had a strip of indium gallium arsenide phosphide buried in the center. The strip, about 300 nanometers long, serves as the memory cell, while the indium phosphide is etched with nanoscale holes, creating a structure that transmits only certain wavelengths of light. A laser is used to read or write information to the optical memory device. 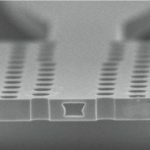 1 Comment on "Optical Computer Memory Chips Could Ease Internet Traffic"
I really wish I knew when this might get into routers or make the next step of progress.